I asked Neuromuscular Re-educator Kerry O’Brien to spend some with me talking about movement, therapeutic modalities, and how critical this work is to staying at the top of your game. You're going to learn a lot. Jini- Your title is Neuromuscular Re-educator; please tell me what that means. Kerry- Neuromuscular Re-educator means: I re-educate the neuromuscular system. Or, re-educating the patterns and the relationships of the muscles and bones to each other and how they move. The goal in what I do is to change the movement patterns which can take the form of hands-on soft tissue release from which changes in movement patterns follow. Form follows function. So when it comes to staying fit and active, it’s important to remember that you’re going to get the body that mirrors what it is that you do. If you sit in front of the computer all day with your stomach pooched out, that’s the body you’re going to get unless you’re proactive and take steps to create other patterns in the body that are stronger than that pattern. If you’re sitting there for eight hours a day, you’re going to have to do a lot of work to counteract that sedentary time. In the case of someone with a traumatic injury like a sprained ankle, or an athlete with a torn hamstring or a rotator cuff injury-and all those things that people present with, these injuries, are often the result of a faulty movement pattern. For example, in the case of a rotator cuff injury, if the shoulders are not in a biomechanically advantageous position, the wear and tear is going to cause a rotator cuff tear over time. People often think they suddenly got a rotator cuff injury when actually they’ve been grinding away on those tendons for years. However, when you do have an acute injury, the body’s way of healing that in the short-run is to “splint” and try to immobilize the area. That’s why, for example, you’ll limp or favor the injured side and then that becomes a pattern. That pattern doesn’t just undo itself when you’re healed, it usually needs some facilitation or physical therapy. Jini- How long have you been doing this type of work and as an athlete yourself, what drew you to it as an adjunct to your training? Kerry- I’ve been doing this work for 25 years. Prior to that, I’d been doing Yoga since 1974. In 1987, after a lot of physical pain, I found that bodywork was so beneficial for me, that I just felt really drawn to pursue it myself; it just seemed like such an incredible healing modality, at least for me. At the time, I had so many soft tissue issues from being a guitar player and a bass player that it affected the sports and activities I was involved in like training horses, running (off and on), back packing and such. It was so beneficial that I became fascinated with it. But fifteen years later, I started to realize that the bodywork alone, like chiropractic, wasn’t enough. You have to start to change the movement patterns that are creating the dysfunction. That’s when I really started to look into biomechanics and different movement forms. It was this during this time that I went to the Long Beach Dance Conditioning Pilates training program. I did this training not to become a Pilates instructor, I didn’t really have any interest in that. I went because I wanted to study with Marie-Jose Blom who was the director there and who was recommended to me as knowing more about biomechanics than anyone in town-and she was available. So I took the Pilates teacher training there and found that I just enjoyed it so much that it led me to explore Gyrotonics and other movement modalities like the Franklin method, Feldenkrais, Hanna Somatics, Yamuna body rolling and on and on. I learned all these different methods of positively affecting the body and as a result of this process and what I had discovered, I was then able to retrain my own body. That has allowed me to step up my athletics with long distance running, cycling, maybe even swimming. I’ve learned so much now over the years that I can go back to enjoying these sports without hurting myself. Long Beach Dance was a very rehab oriented program vs.being a workout oriented one. They employed a concept called “down training” where at one end of the continuum were healthy people with no issues who work out. Then down training is on the other end, which focused on movement at its most basic level first, and then worked on loading. By comparison sometimes, those that had the ability to just throw themselves into working out, came from more of a dysfunctional place. Some people find this type of (rehab) training enormously frustrating. They don’t have the patience to think about what their feet are doing, or where “neutral pelvis” is or what is neutral pelvis? They just want to work out. But for people who have struggled and understand that they have underlying issues that they can’t get a handle on, then the more therapeutic approach is for them because they’ve tried the other approach and it wasn’t working. People don’t always love the rehab work but pain is a great motivator and many of the people who come to me are in a lot of pain. They have been to a lot of other practitioners and they’ve presented with sometimes simple but often very layered problems that are hard to get to the bottom of but, the motivating thing for them is that they are tired of being in pain. It’s not like “well, now I can’t do my normal 4 hour workout,” it’s more like, “now I can’t walk the dog because I’m in too much pain.” When they get to that point, the motivation is much higher. Chronic pain is very motivating because it’s very depressing and demoralizing. You feel like no matter what you do, you’re just always in pain. There’s a huge physiological and mental effect to that. Chronic pain causes depression. That’s a challenge right there-dealing with people that have been in chronic pain so long that now they have depression and anxiety as well. Jini- How does what you do, differ from being a Massage Therapist; or does it? 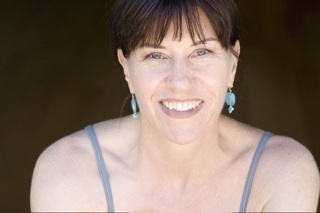 Kerry- A Neuromuscular Re-educator differs hugely from being a Massage Therapist. The bulk of the massage industry is geared toward “spa massage.” Massage schools are cranking people out with a lot more educational hours than in previous years but they’re focused largely on gentle, relaxation-spa massage. Don’t get me wrong, there’s a lot of benefit in a gentle, relaxation massage. It lowers the stimulation of your central nervous system and it’s the only form of massage indicated for people with a lot of medical conditions where they just need to be sedated and calm with just gentle, circulatory massage. There’s definitely a therapeutic benefit to deep relaxation itself and the therapeutic value of a relaxation massage generally doesn’t involve conversation. If the massage therapist is gabbing at you, or you’re gabbing at the massage therapist then you’re not going to that deep place. Neuromuscular massage in contrast, is a little more interactive. I’ll ask for feedback, pain tolerance, that sort of thing. I want all that feedback, it’s different. A relaxation massage should be a kinesthetic experience where you go to a place that you don’t go to any other way than when you’re having a really terrific relaxation massage. In fact, that’s one way of evaluating a therapist. Some people really benefit from this because they find they just can’t relax any other way. High level executives, people under extreme stress, this deep relaxation can only be achieved through a physical medium, and they are just fried. Some people need a kinesthetic experience to shut their brain off. There can be a big brain chemical, positive payoff for this. No matter how difficult a therapeutic massage can be, I always try to make some part of it pleasurable as well so it balances out. When you’re in pain, you’re so focused on that area you forget that the other 98% of your body is capable of feeling good. An important part of a healing process too, is to rebalance that focus so that it isn’t totally focused on that 2%, so that you remember, “oh yeah, my body can feel really good as well.” That’s really important for people with chronic pain. Neuromuscular therapy takes things to a deeper, more therapeutic level. It’s more focused on dealing with “dysfunction” in the tissue i.e. trigger points, which are areas of tension in certain fibers of muscle either in the muscle belly or at the attachment that refer pain and/or numbness to other areas of the body. The goal of trigger point therapy is to raise the threshold of how much stimulation is required to fire the nerves to those muscle fibers. In other words, we’re basically lowering the pain by raising the threshold of how much stimulation it takes to fire that area so it’s not constantly firing and constantly in contraction. A trigger point is an area of fibers that are firing, firing, firing, firing. They just cannot shut off so they are creating areas of tightness and toxicity because circulation can’t get in, metabolites can’t get out-it’s a mess. The most effective way to relieve that is through deep stroking-short, deep strokes. That gets circulation in, nutrients into the tissue and raises the amount of stimulation required to re-fire that area. Jini- There is a huge “buzz” out there in the fitness industry as of late about the importance of so-called “soft-tissue work.” What is meant by soft-tissue work and just how important is it to reaching your fitness goals? Kerry- Soft tissue work is anything having to do with muscles, tendons, ligaments, fascia of the body and the re-modeling of it, the manipulation of it-and it is essential. So someone who’s just spreading a lot of oil over you, although it’s a pleasurable experience, they’re not really taking advantage of the full spectrum of what can be done with soft tissue. That’s almost more of a sensory experience than an actual manipulation of tissue. The goal of any kind of massage should be to change the condition of the tissue that you’re working on. That relies on the skill of the therapist. What is the goal and how are you going to go about achieving that goal? There are many modalities to benefit from such as cranial/sacral work, Trager, and things that they’re doing with autistic kids-there’s so much out there. I’m looking at the difference between that real baseline just-got-out-of-school spa massage and a massage that’s going to create some kind of a difference in your body. I personally focus on neuromuscular therapy because it’s been the most beneficial approach for me with my chronic pain and postural issues. It just fixes the problem. It’s a 4 step approach. First, you address the trigger points, then you stretch, then you change the biomechanics/posture, and then strengthen the tissues. That’s why just getting rubbed on, doesn’t change things. It’s really nice, it feels good, but it’s not going to really change, on a fundamental level, what’s going with your body biomechanically. It might change something physiologically, especially if you have a disease for example, and it’s part of your healing process-so I don’t want to discount that. I’m just taking the view of someone who is otherwise healthy but has biomechanical issues. As a long distance runner, I know that if I strain a muscle, tendon, or ligament, I do a lot of massage on it myself. I can’t imagine it getting better without that. In a way, it’s unfortunate that good massage is so financially out of the question for so many people because it’s the oldest form of medicine and for a good reason-because it’s really effective. If I’ve done some micro-trauma to my calves or something after a long run, I’ll deeply rub them out later that night maybe using some Traumeel to help the healing process. I can’t imagine running on those legs again until I’ve done that. Jini- What do you feel are the biggest mistakes that people make which are contributing or causing either acute or chronic injuries? Kerry- Being sedentary; that’s it! especially when it comes to chronic issues. The kinds of problems that I experience here in my business very, very often are related to obesity. I would have no business at all if I was living with the bush people or in the Kalahari, or with Eskimos. They don’t have these types of problems because they’re hunting and gathering. They walk, chop wood, and carry water. They don’t wear shoes, and their feet don’t hurt, they work hard all day and their backs are straight as sticks and they have no back pain. They may have a lot of medicinal problems but they don’t have a lot of orthopedic problems. My best advice? Limit time on the computer, in the car, on the cell phone and put down the remote- that’s it; the key to good health. Jini-In today’s economy, what would you suggest people do who could really benefit from this type of treatment but can’t really afford it on a regular basis? Kerry- First and foremost, do some sort of mind/body movement where you’re plugged in. With the majority of exercise that people do, they check out. People want to ride their bicycles intensely, do the Stairmaster intensely…whatever it is they’re doing because they like to space out. Running, though, is not really free. You have to make some investment. I would say that for people with limited budgets, Yoga classes are so cheap now. Take a Yoga class a couple of times a week. Get out of your chair! Go find an instructor that you really love. Just find something where you can tune in rather than tune out. If you need some coaching, its money that is so well spent. I’ve spent a lot of money on my running coaching. At first I thought, well, “I know how to run, I’ve been running all my life.” But, I haven’t. I run; and then I get hurt. So I got some coaching and it got me going from running 1 mile to 15 miles. That was money well spent I think. Good instruction is worth every penny. As far as massage goes, you can take a workshop in Yamuna body rolling and viola; you have instant self deep-tissue massage. The hardest thing people have to do is to commit the time to take care of themselves because there’s always going to be something else that needs your attention. We don’t come with an owner’s manual and unfortunately, we’re not taught at a young age, how our bodies work and what they need to be maintained properly. One of the things I do with my clients is a lot of educational work; teaching them some basics about how to work with their own body and their own issues. They’re not going to be anatomy and physiology experts but they can be taught how to understand their own issues because a lot of the time their issues aren’t going away-but they do have to learn how to manage them. Meditation is free but that’s another area where some instruction is really helpful. There are meet-up groups who do that, there are some great guided meditation CDs that are available for free at the library, sometimes you can get them as electronic files that can be downloaded onto your iPod. There is lots of information available. Jini- Arguably, surgery is an “over-prescribed” treatment for many musculo-skeletal issues that people face. Whether coming back from an injury or dealing with a chronic condition, can soft-tissue work be considered an effective alternative to surgery in some cases? Kerry- Oh yes, very often. Manual therapies can be considered an alternative but what has been effective for my clients is doing soft tissue work prior to a surgery; pre and post surgery so that for instance, when someone goes in for a rotator cuff repair, (and I’m just mentioning that because it’s such a common surgery), I like to make sure that they already have really good range of motion in all the other muscles that make up the rotator cuff (there are 4) plus the auxiliary muscles that act like rotator cuff muscles so that when the surgery is done, at least they’re in an as biomechanically a correct position as they can be when the repair is done. This is really important for shoulder work and hip work-like a hip replacement. I’m always happy to have been able to nail it but, surgery sometimes is the answer and no amount of soft tissue work that I’m going to do is going to fix that. So then they go off to the surgeon and hopefully it’s a successful surgery and they recover. They do physical therapy (PT) for a little while and then they come back to me to begin working on their movement patterns. Most people only get so much PT, maybe 12 sessions a year. Post surgery, you can use those up pretty quick. Then you’re kind of hung out to dry. Your insurance company says “OK, your PT is up-go have a nice life” when really that’s just the beginning. You really need guidance with that kind of recovery for months and months afterward. A personal trainer can bridge the gap between the end of physical therapy and a return to normal activities but the process requires a much higher level of skill and education than the average personal trainer or massage therapist or even Pilates instructor has. Jini- If breathing could be considered “the activity that time forgot,” meaning we “forget” how to breathe properly once we're past toddlers, in terms of staying fit and injury free and with the limited time most of us have, just how much emphasis should one place on practicing proper breathing technique? Kerry- Breathing is fundamental. When I get new clients, that’s the first thing I do with them. I have to see how they breathe. Half of their problems are usually because they’re breathing paradoxically. It’s the first thing that has to be corrected. Some people think that because they’ve been trained to do one type of breathing, that that’s the only type of breathing there is. For instance, if someone says “oh yes, I do diaphragmatic breathing because I was an Opera singer.” Well, that works for singing but it’s not necessarily the optimum breathing pattern for life. There are so many breathing patterns and since I do have a background in Yoga and Pranayama, I know that there are many different breathing exercises in Yoga alone plus there are tons of other methods depending on what you want to achieve in the body. I take people step by step through different layers of breathing. Sometimes they’re a little frustrated when I give them one instruction and then I change it up a little later. But once one technique has served its purpose, I move on to the next one. Most people have no control over where their breath goes. There is a huge group of people who feel they should always have their stomach sucked in (at all times) and won’t let a breath go down there for love or money. There’s a reason why in Yoga, there’s so much emphasis on breathing; because it’s absolutely step one. The other thing is, how you breathe. You can really amplify your fight or flight adrenal response in your daily life or, breathing can help calm that. If you’re breathing up into your chest and your throat, you’re constantly telling your body that you’re in danger and that will contribute to burning out your adrenal glands. So yes, breathing is kind of…important? Jini- What is your opinion of using topical remedies intended for muscle soothing and relaxation such as traditional or infrared heating pads, Epsom salt baths, Tiger Balm and healing creams such as Biofreeze or magnesium creams, ThermaCare or Salonpas pads, even topical pain relieving agents such as DMSO? Kerry- All these things are great! One of my favorites is Tiger Balm. It’s a natural remedy, been around forever. I actually recreated my own Tiger Balm from a recipe. I learned about the main ingredients in Tiger Balm and why it works so well. It’s a combination of clove (an analgesic), peppermint (a counter-irritant), cassia oil (a counter-irritant), menthol (a counter-irritant & anesthetic), it also contains something called cajeput cream (an anti-spasmotic and vaso-dilator), and camphor (increases local blood flow & a counter-irritant & anesthetic.) Four of these are what is needed to address pain and they all work synergistically-it’s just profoundly effective. It’s like using Icy Hot, taking Advil and having caffeine all at the same time. It really helps relax my legs when I massage it in after a long run. I like it because it is warm and cold. Jini- How can someone find a qualified Neuromuscular Re-educator in their area? Kerry- Look at someone’s certifications. Investigate what some of those certifications are. Look for things like St. John neuromuscular therapy, trigger point therapy, myofascial release and other advanced therapies. I wouldn’t recommend someone with less than 10 years experience. When you go to massage therapist referral sites, even the American Massage Therapy Association which has a fabulous massage therapist locator by zip code, you’ll notice that most therapist’s profiles reflect a vast knowledge base of techniques; every modality is checked. They graduate school with an introduction to a variety of techniques like Swedish, Cranial/sacral, deep tissue, sports massage but they’ve only scratched the surface of knowledge in a given area because they lack the experience to have any deep knowledge of these techniques. Each modality takes half a lifetime to learn but they’ve only been practicing for six months. Look for someone with a lot of experience while those others are off paying their dues somewhere like working for a chiropractor, in a spa, etc., and really learning something. If someone’s been in the business for at least ten years, you know there are continuing education requirements and coupled with that, experience -there’s just a world of difference. Call them up; talk to them. Do a phone interview with them. What about the popularity of the “lower-cost” massage places that have popped up all over? Well...you get what you pay for. If someone says they charge $100 an hour and you think well, I can get a massage for $40 down the street, there is just an enormous difference between a $40 massage, and a $100 massage.